Kia Motors is South Korea's second-largest automobile manufacturer. 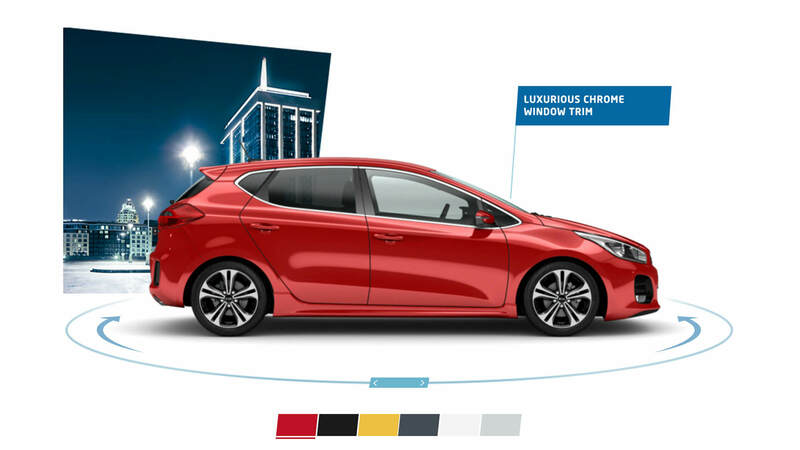 We created a webspecial that truly reflected Kia's passion to surprise showcasing the new 2016 Kia cee'd. Each digital touchpoint brought the campaign tagline "The surprising machine" to life with animation effects and an in-depth presentation of the car's features. Included color picker and feature visualization. UI details for adaptive navigation.